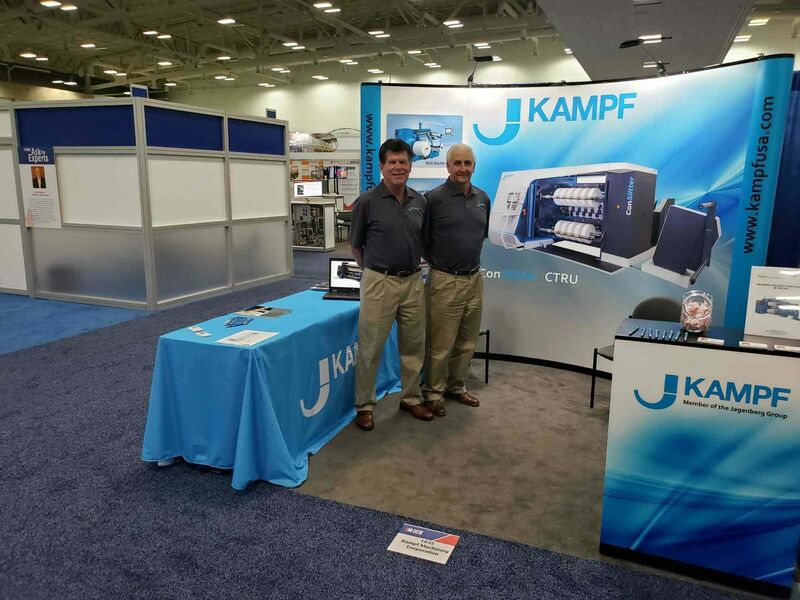 At the ICE USA in Louisville, Kentucky, the team of Kampf Machinery Corp. presented the extensive machine portfolio of Kampf slitting and winding technology to an international audience of experts. 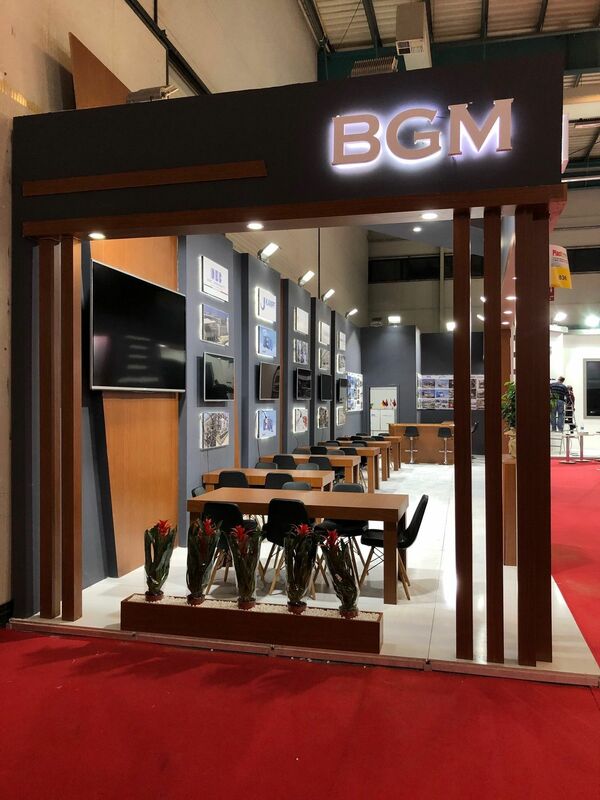 This fair for the converter industry took place from April 9th to April 11th, 2019 for the 5th time. The visitors of the KAMPF booth payed special attention to the new ConSlitter and its trend-setting design. Thank you to all visitors, thank you for your interest and your positive feedback. f. l. t. r. Randy Wolf and James Gatcomb, Kampf Machinery Corp.
(KAMPF) (f. l. t. r.) Andrew Luk, Sales Assistant KHK; Samson Chong, Managing Director KHK; Lutz Busch, CEO KAMPF; Vivian Yuen Sales Assistant KHK; Connie Hui, Sales Assistant KHK. 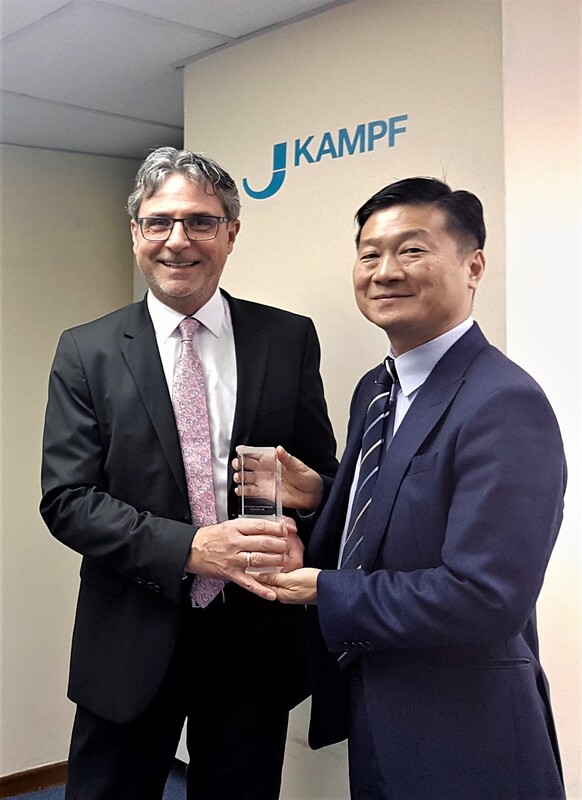 (KAMPF) f. l. t. r. Lutz Busch, CEO KAMPF; Samson Chong, Managing Director KHK. 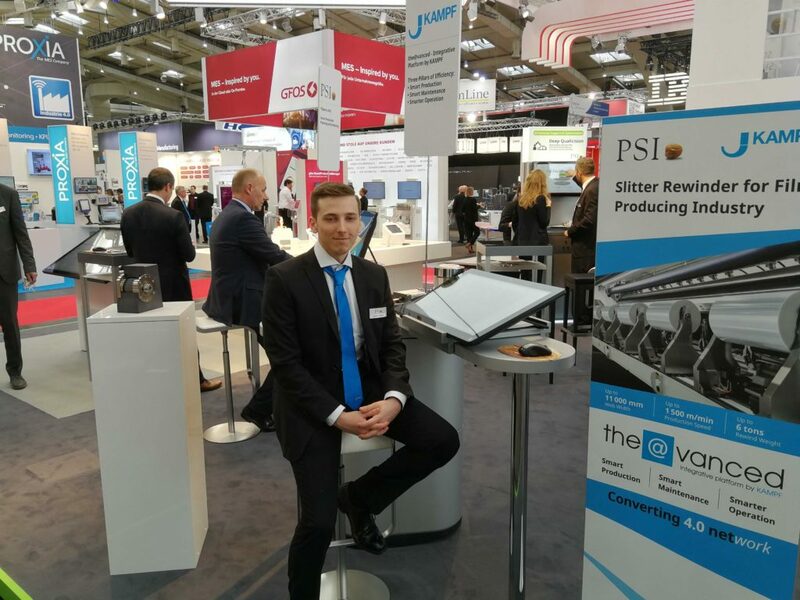 The international trade fair for the plastics industry took place from 5. – 8. December 2018 in Istanbul. International exhibitors presented their latest trends, products and developments to an interested trade audience. The fair also served as an ideal platform for KAMPF to maintain existing partnerships and to establish further business contacts. 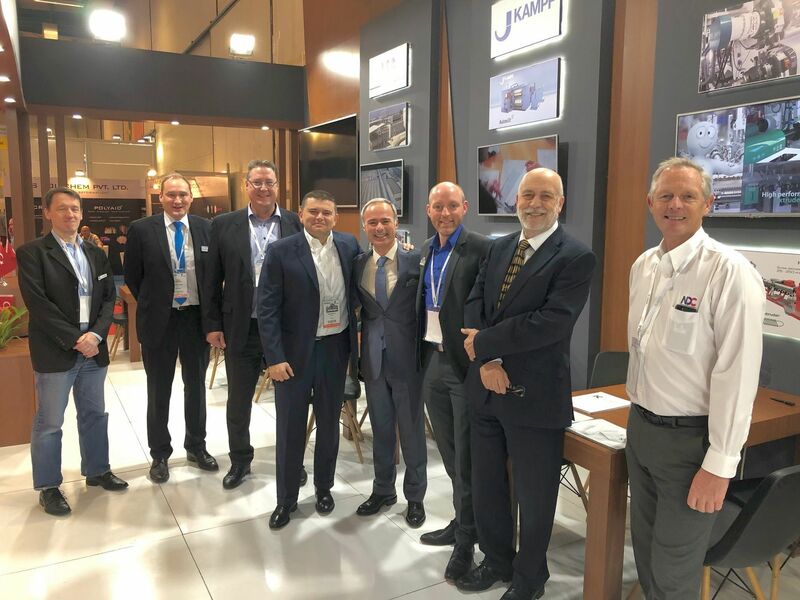 At the booth of our sales partner BGM Makina Teknik Oliver Conrad, General Sales Manager Converting / Flexibles, presented the latest technical developments of KAMPF as well as the comprehensive product portfolio for the converter industry. We thank all visitors for their interest. 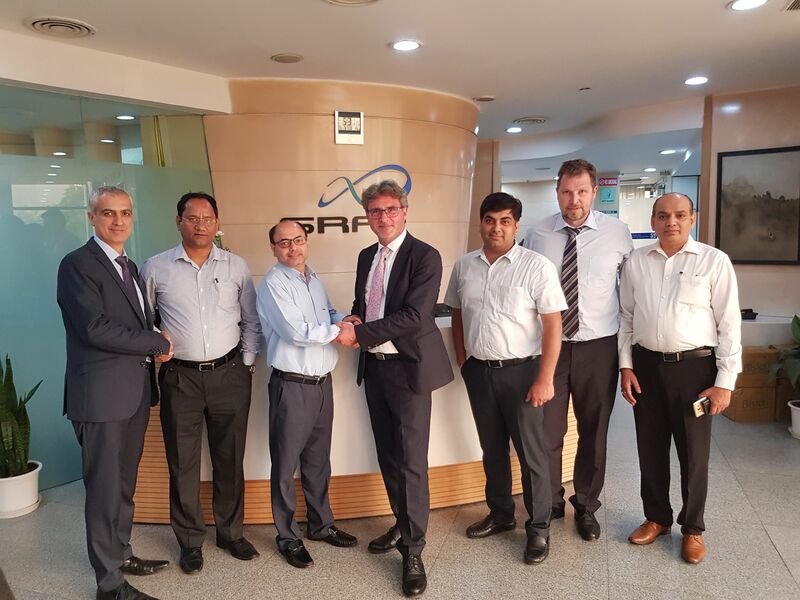 The Indian film manufacturer SRF Limited ordered four KAMPF slitting machines for a new 10.6 m BOPET line in Budapest, Hungary. Two Universal 108/12 slitters and two Unislit 630 machines will be delivered in autumn 2019. SRF has decided to buy KAMPF slitting machines to meet the high quality demands of the European market. 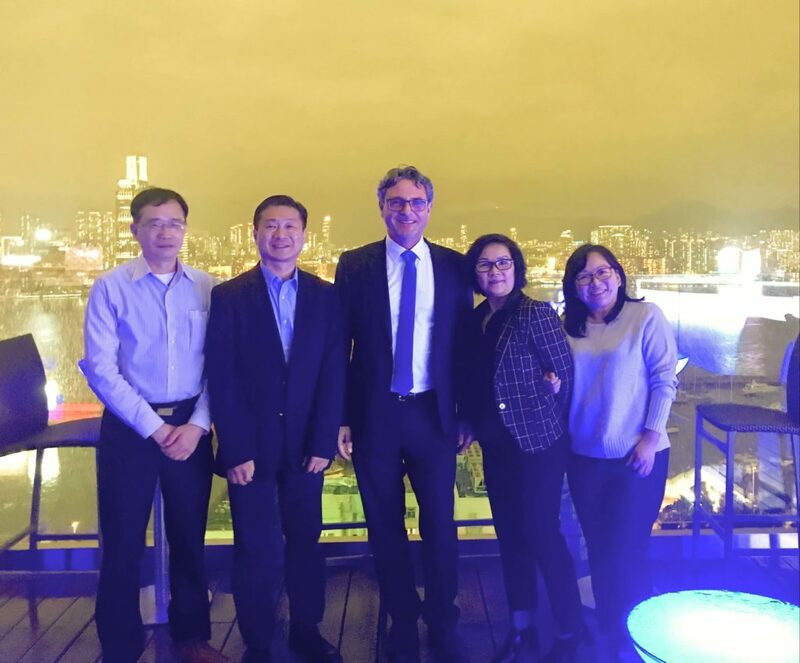 SRF will also receive two Universal 108/12 slitters and one Unislit 630 at the end of 2019 for a new production facility in Thailand. A new 10.6 m BOPET line will be installed here. 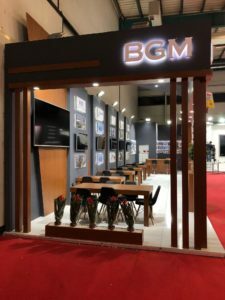 The plant with a production capacity of around 40,000 tons per year will be built at the existing site in Rayong in eastern Thailand and is scheduled for completion in around two years. 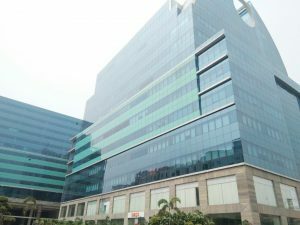 Represented by numerous subsidiaries in four countries, SRF offers a wide range of flexible packaging solutions from food to industrial applications. 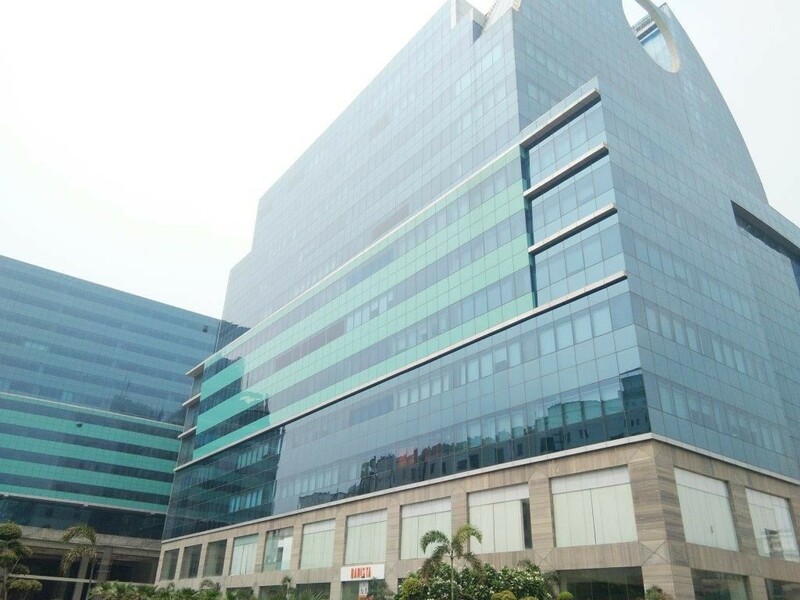 Equipped with state-of-the-art production facilities, SRF is one of the largest manufacturers of standard and special films made of BOPET and BOPP and exports packaging films to more than 90 countries. 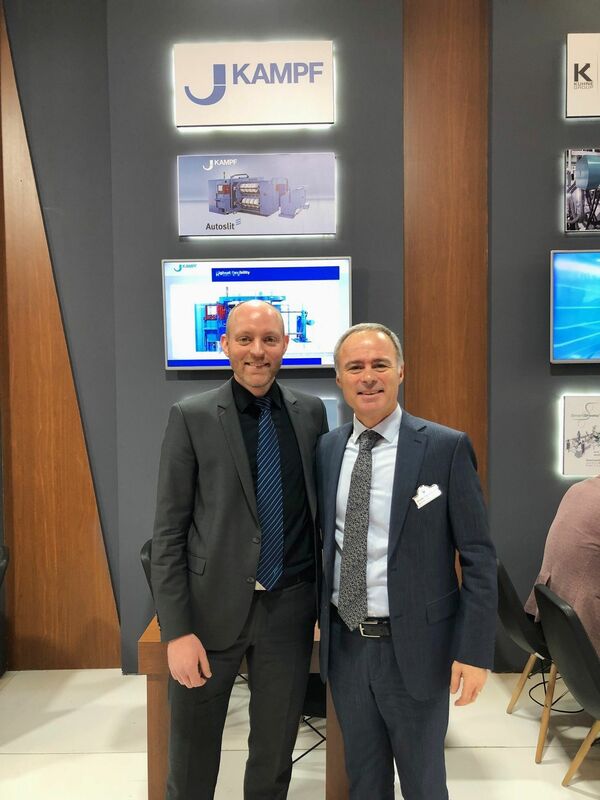 Dr. Stephan Witt, COO and Malte Eckert, Head of Materials Management at KAMPF, welcomed approx. 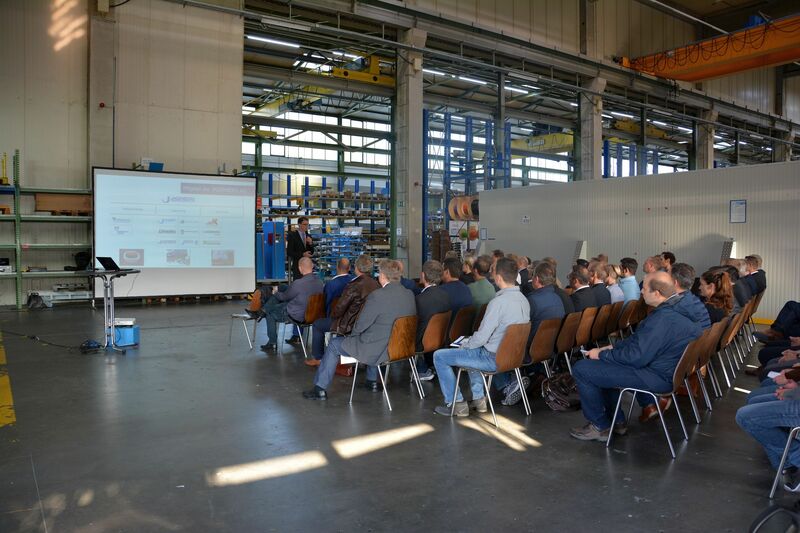 60 participants from 35 suppliers at the Wiehl headquarters on 14 September 2018. Together with the entire purchasing team and other KAMPF employees, they informed their guests in several presentations about business prospects, strategic decisions, and the resulting concrete requirements. A tour through the assembly halls completed the program.